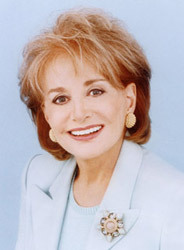 After killing off Star Jones, Barbara Walters is parading potential replacements through The View. Clearly they are looking for the right look and chemistry. Barbara probably realizes that her black audience could be put off if she does not replace Star with another black woman. The parting was messy. Relax Barbara. We still like you. But you are acting a little strange with the black folk. You're touching their hair. Don't you know that is a no-no. You're asking if the hair is real. Another no-no, particularly when you know the answer. So far Mo' Nique, Brandy and others have auditioned live on the show. AAEA Hollywood has recommended Samara Swanston to replace Star.